Line 3 Update: Paddle to Protect Youth Complete 250-Mile Journey; Petition Needs Your Signature; The Big Sandy Lake “Tragedy”; Pipeline Work in Minnesota? 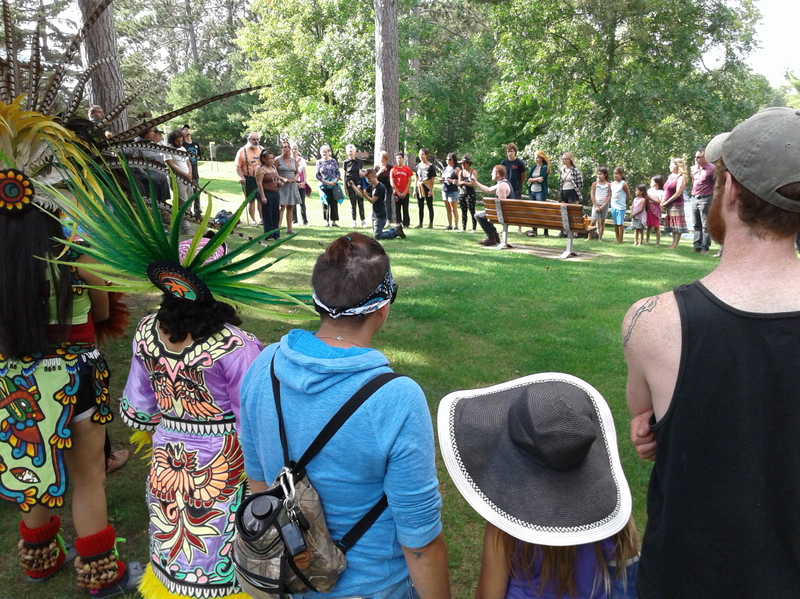 A group of approximately 80 people gathered in ceremony at Big Sandy Lake Recreation Area to congratulate the Paddle to Protect Youth on a job well done. Rose and a number of other Native youth just finished a 250-mile canoe trip down the Mississippi to try to bring attention to the threat posed by Enbridge Line 3 — a proposed expansion of a tar sands crude oil pipeline through northern Minnesota. The “Paddle to Protect” trip was organized by Honor the Earth. Some 80 people showed up at Big Sandy Lake Recreation Area Saturday, where the canoe trip ended. People stood in a large circle to show their support for the youth, to congratulate them on their journey, and to listen to their beautiful words. Rose said the canoe trip was an amazing experience for her. As someone who grew up in the city, she never experience nights that were so quiet and where she could listen to the animals. You don’t have to paddle 250 miles to support the youth and the work they are doing. Several of the paddlers are part of a group called the “Youth Climate Intervenors.” The group has started a “Stop the Line 3” petition that already has more than 30,000 signatures. Please add yours and share with your networks. The Youth Climate Intervenors are one of the select groups who will have standing to testify before the Minnesota Public Utilities Commission in the pipeline’s contest case hearing. They were recognized specifically because they are young, and will have to deal with the pipeline’s long-term consequences. Čhokáta Nážiŋ – The Dakota Language Medicine Wheel Table, a living and traveling gathering space for the Dakota language to be strengthened. Mniówe – A place for getting water (mniówe) is the indigenized rendition of the esteemed “Water Bar”. Learn about indigenous philosophies, relationships and practices relating to Mní (water) that have allowed Dakota people to thrive in this area for millennia. Feast of Words, where people will cook a traditional berry pudding together and learn Dakota words. Film screenings of Keeping My Language Alive: The Perfect Imperfections. Information table on the impact on Anishinaabe people of the proposed Enbridge Line 3 tar sands crude oil pipeline through northern Minnesota. The event is hosted by the Healing Place Collaborative, an indigenous-led group of artists, educators, researchers, and activists who play leadership roles in articulating the vital role of the Mississippi River in the life of the Twin Cities. .